The DTS begins with twelve weeks of intensive discipleship, learning, and growth. Students will hear from a variety of qualified teachers, pastors and missionaries on a variety of topics. Subject may include Hearing God's voice, Discipleship, Worship, Intercession Prayer, Biblical Studies, the Holy Spirit, Identity, The Father Heart of God. Time in the classroom gives our students the opportunity to get to know God like never before as well as lay a biblical foundation for the rest of their lives. Lectures in a classroom are only one way for students to grow. We believe that incredible learning and growth takes place while out serving the community, as well as small group discussion and one-on-one discipleship. These elements are essential to our Discipleship Training School. Outside of lecture times students will be involved in community outreach, worship, intercession, small groups and more. Students will also be equipped to teach and minister in a cross-cultural setting. Our outreaches focus on three main outlets of missions: mercy ministries, evangelism, and training. The past our outreach teams have served in China, Thailand, India, Indonesia, Philippines, Hong Kong, Tibet, Nepal, and Papua New Guinea. The DTS outreach is an amazing experience where life long friends are made and the Kingdom of God is expanded! You will demonstrate the love of God to the people through your life and the unique gifts that God has given to you. Many of our teams regularly partner with local churches and YWAM ministries to strengthen their ministry and encourage them in their long-term mission. 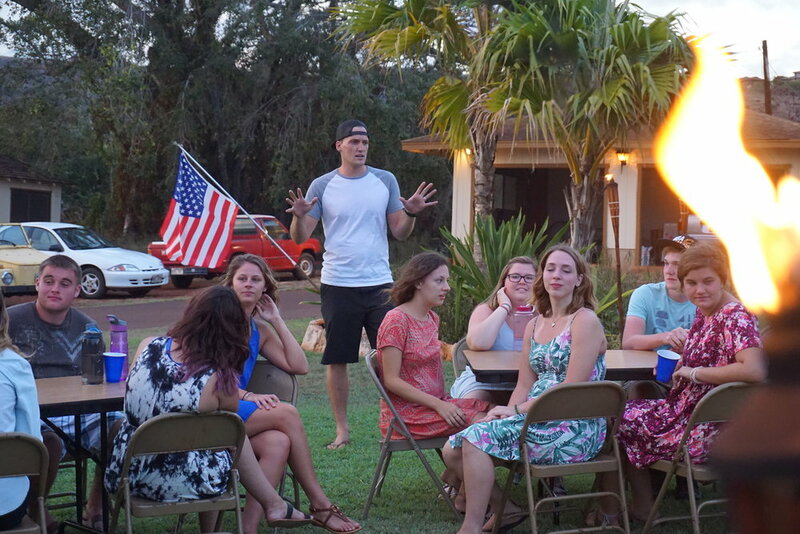 At the end of your outreach you will spend your final week back in Kauai, de-briefing and being equipped to move forward with all God has done in your life over the last six months. Come and be a part of the movement!